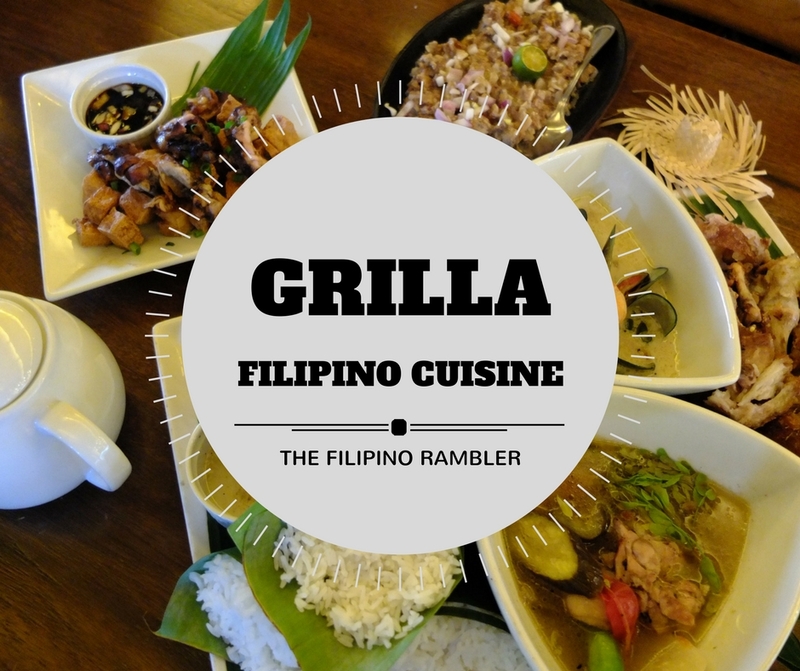 Grilla Filipino Cuisine is a specialty casual Filipino restaurant. 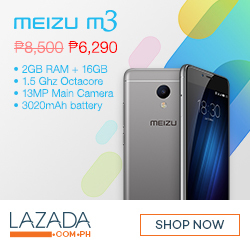 It first opened in Antipolo in 1988 and opened its 2nd store last year at SM MOA By The Bay. 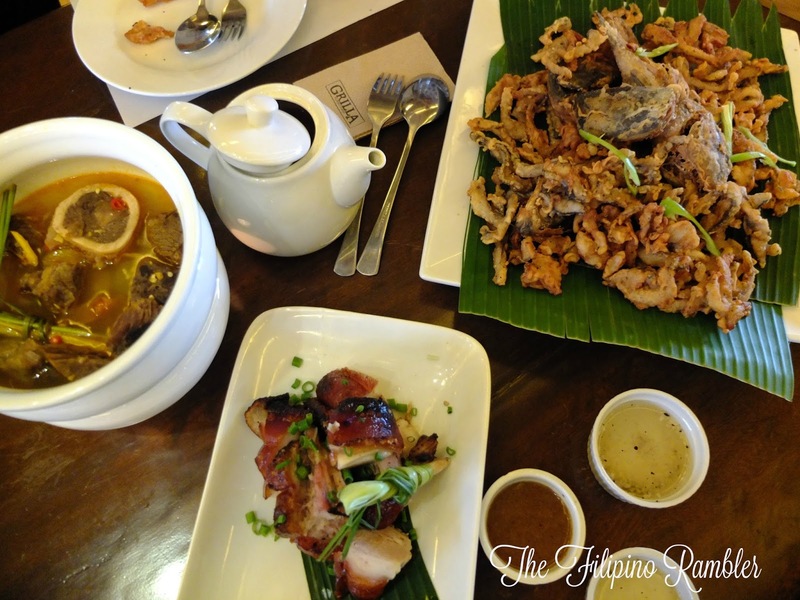 As Pinoy, our tongue is accustomed to the likes of Adobo and Crispy Pata or Kare Kare. And for someone who loves eating like me, you may have already been to several dining places that offer authentic Pinoy dishes. 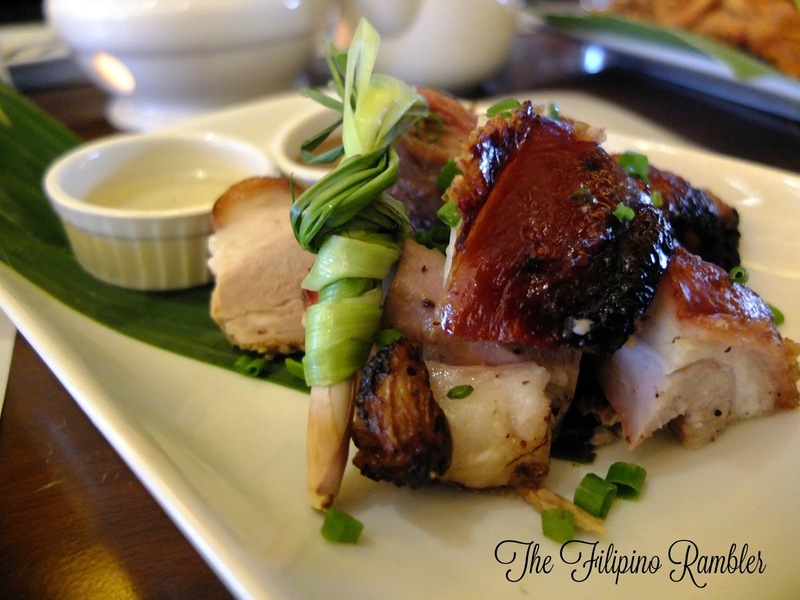 Grilla offers sumptuous and exquisite Filipino dishes typically not found in many Filipino restos in Manila. As I open the door of this joint at SM MOA By The Bay, I wasn't really expecting extraordinary to eat, and little did I know that I was in for a pleasant treat.. I adore these hanging lamps! 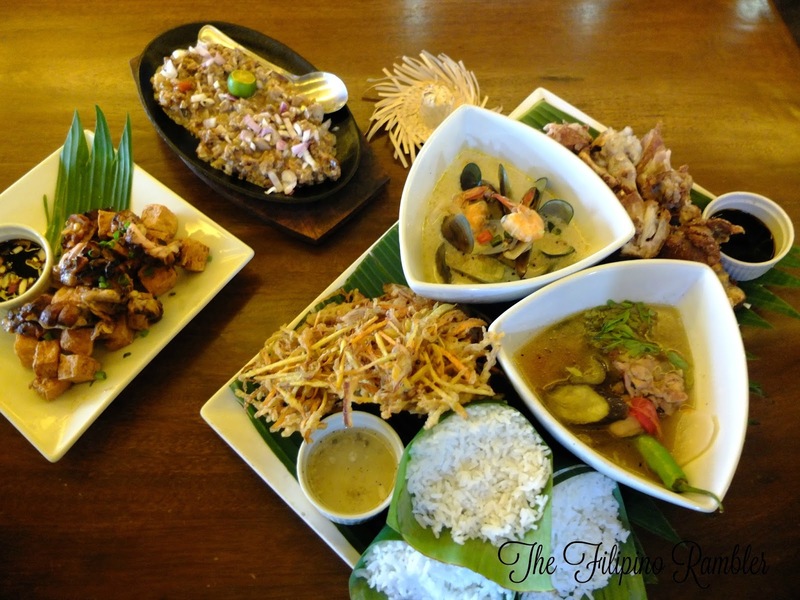 GRILLA Filipino Cuisine offers a variety of exciting Filipino dishes for the discerning palate. Sharing with you a list of my favorites. 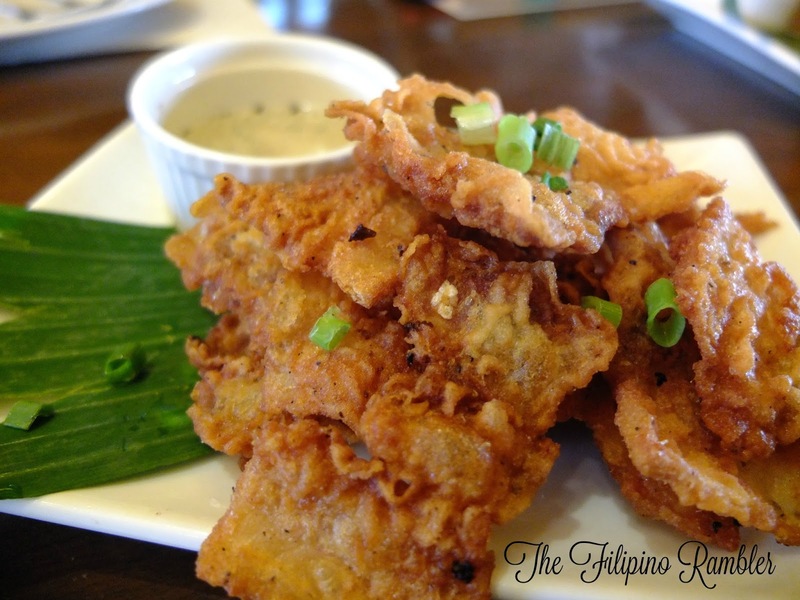 Crispy Chicharong Bacon (P185)- Deep fried, thinly sliced pork belly served with vinegar dip. Our favorite here! Super sarap! 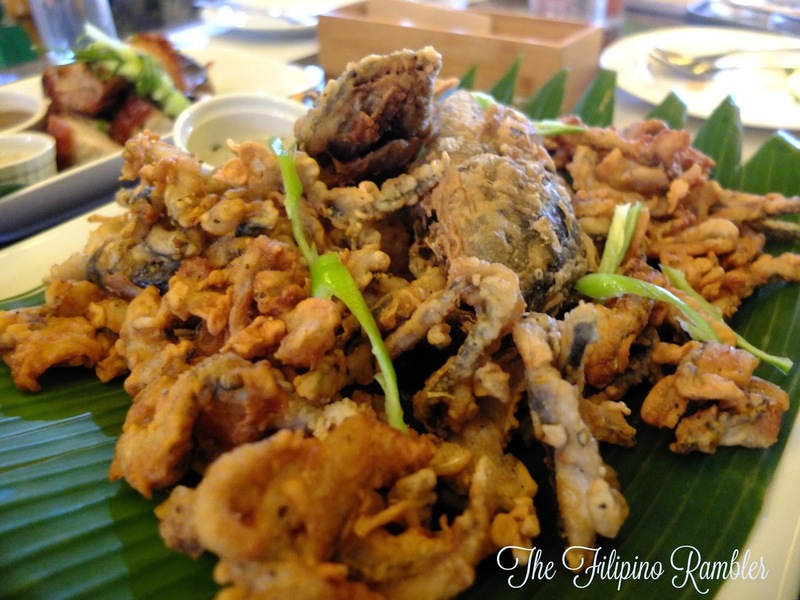 Crispy Fish Trio (450)- Crisp fried strips of tilapia, hito and bangus served with vinegar dip. A bounty of fried fish--and yes, it is of enormous serving that can be shared by 6-8 people! Pista sa Nayon (P995)- Celebrate fiesta with Crispy Pata, Sinampalukang Inihaw na Manok, Seafood Gising Gising, Fried Okoy with Steamed Rice. Please don't skip the okoy--believe me , it's an experience you will never forget. Napakasarap! Tokwa't Manok (P155)- A healthy version of the famous Tokwa't Baboy. Instead of the usual pork liempo, Grilla's version is Grilled Chicken Inasal and friend chunks of tofu in a mildly sweet-soy-vinegar sauce. I love tofu, and this dish was also another favorite! 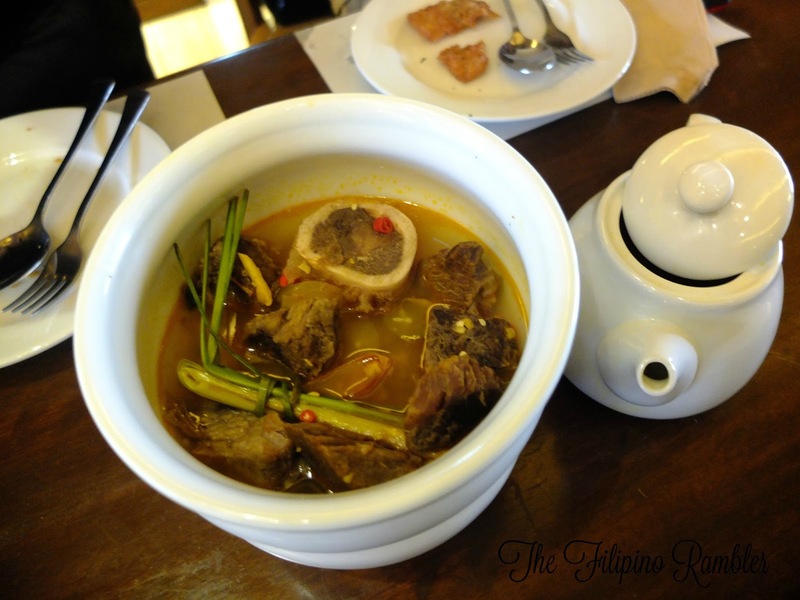 Beef Kansi (P325)- A famous Bacolod dish which is a cross between sinigang and bulalo. Kansi is beef and beef bone marrow with a sour soup made with kamias. 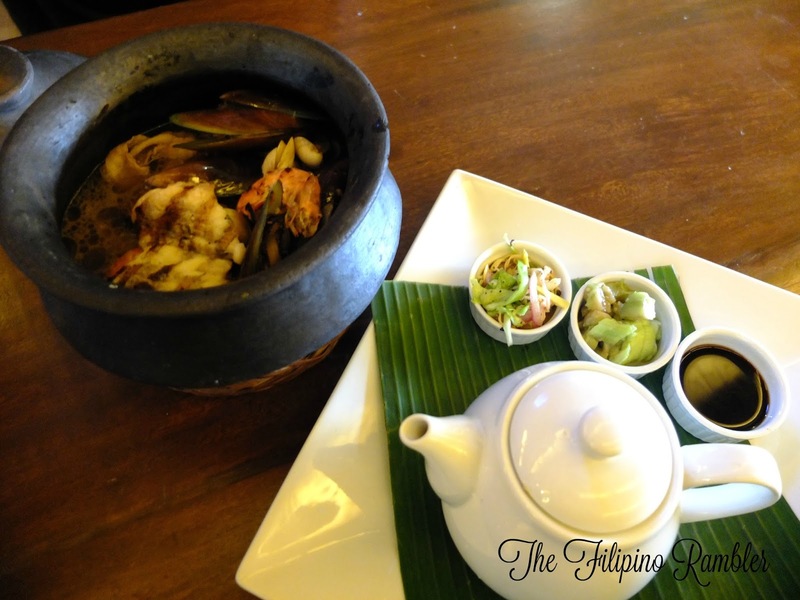 If you love sinigang and bulalo, then this is for you! Lechong Liempo Ala Cebu (300grams/ order at P430)- Roasted pork belly marinated in ginger, garlic and lemongrass. Served with Sinamak o liver sauce. I'm really not a fan of pork lechon, yeah, boo me, but my friends loved this 'pampabata' dish. Sisig Sampler (P320)- Grilla's famous pork sisig, chicken sisig ang bangus sisig. I'm a big fan of a good sisig, but somehow, I felt something was lacking. Don't get me wrong, their sisig is good too, my friends loved it, but maybe I've tasted more tastier sisig than theirs. And yes, this a good partner for those buckets of beer! Just by the look of it, I'm already full! We had a gastronomic feast at Grilla! 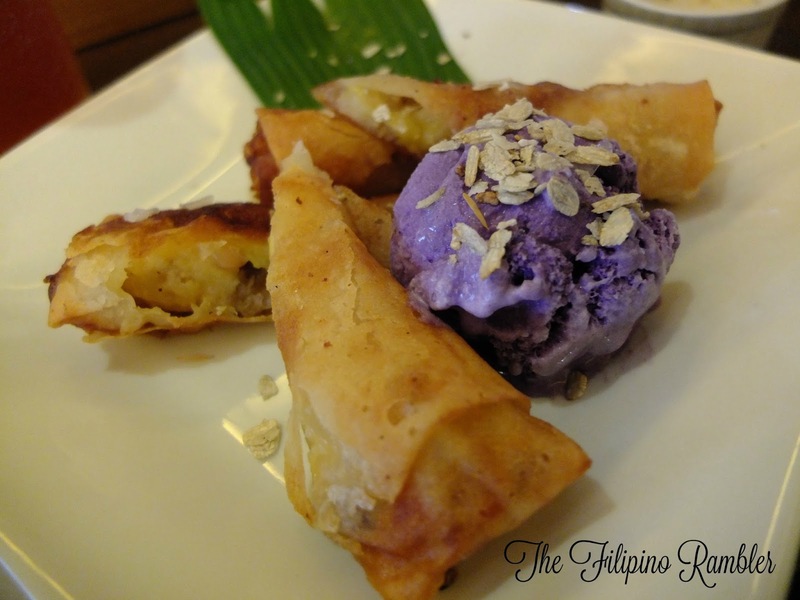 Halo-Halo Spring Rolls (P165)- Deep fried spring rolls of red mongo beans, sweetened banana and kamote. Seved with ube ice cream and a sprinkle of toasted pinipig. This is a piece of heaven on earth! 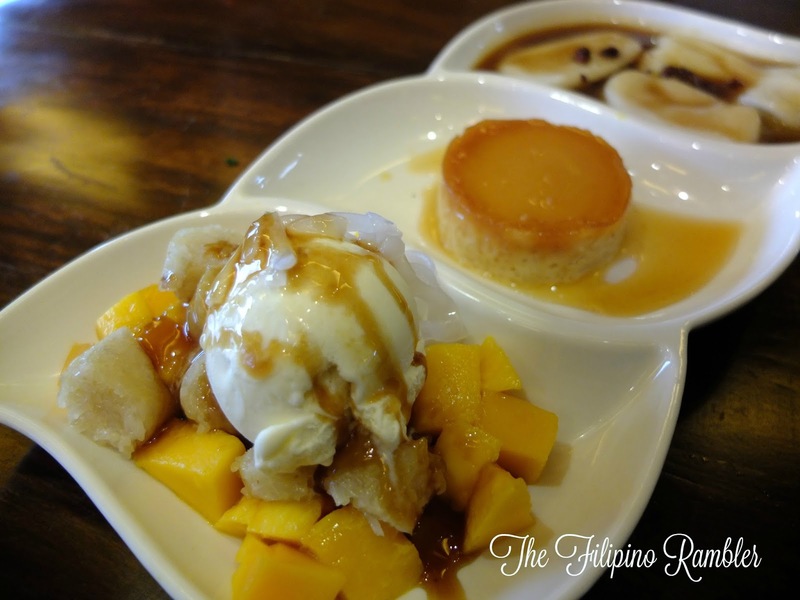 Grilla Dessert Sampler- A taste of Grilla's sweet offerings: Leche Flan (P95), Suman-Manga & Macapuno topped with Vanilla Ice Cream (P145) and Palitaw smothered in coconut sauce (P120). The perfect treat to cap one's Grilla's feast! You bet I forgot my name after eating this! 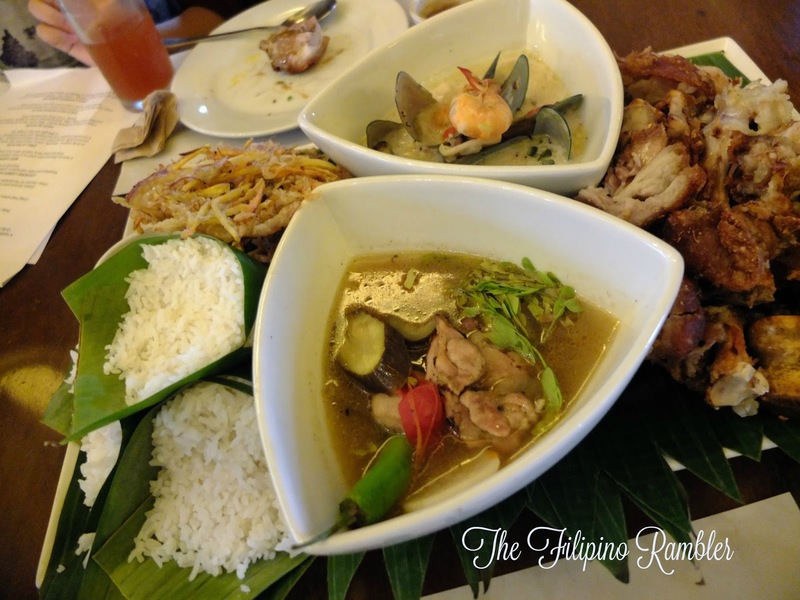 If you're looking for value for your money, Grilla Filipino Cuisine is a great recommendation. 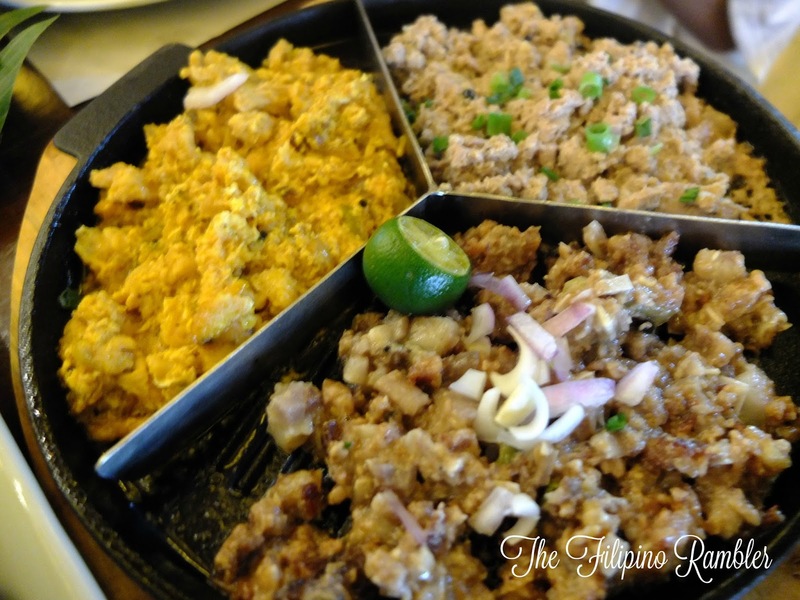 Theirs are typical Filipino dish done uncommonly well. The place is perfect for large groups-families, friends; your balik-bayan relatives will surely find joy eating the comfort Filipino dishes we all loved. GRILLA Filipino Cuisine offers a unique flavor of experience. Their dishes are guaranteed to please even the most finicky gourmand! 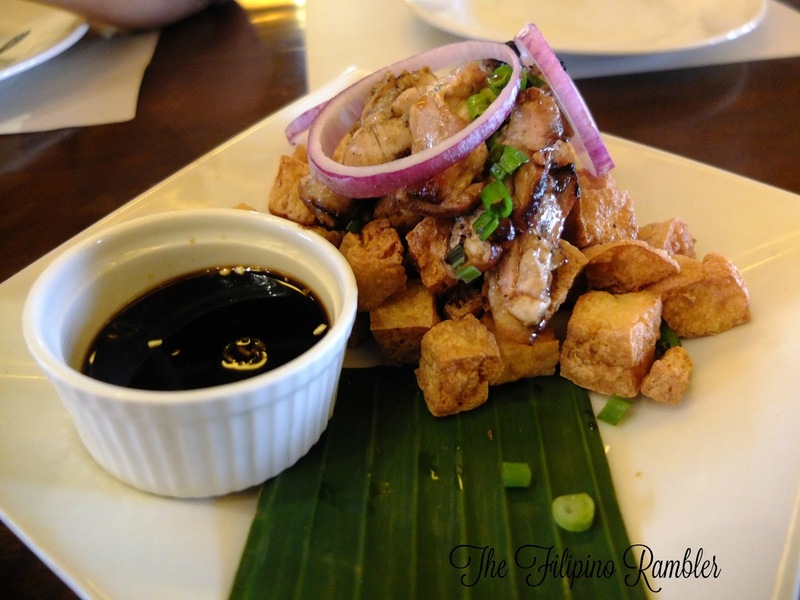 Have you been to GRILLA Filipino Cuisine? What's your favorite dish here?